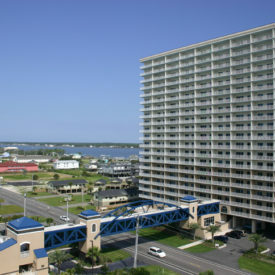 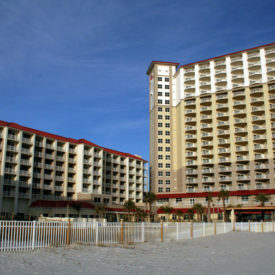 The Hilton Tower is a 17-story, 135,000 SF high rise condominium/hotel located on Pensacola Beach, Florida. 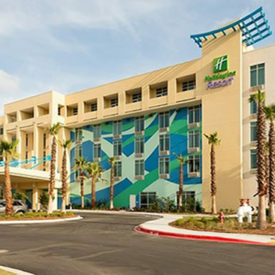 The Tower serves an addition to the existing Hilton Garden Inn and its arrival converted the entire development to a full-flag Hilton facility. 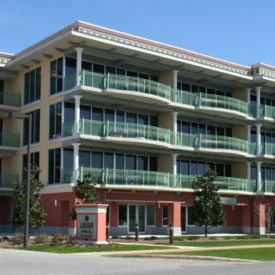 The facility includes two floors of meeting space, a public balcony overlooking a pool, 92 new suite type/multi-room hotel units and a parking structure which accommodates 100 vehicles.